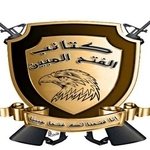 Kata'ib al-Fatah al-Mubin ("the Sure Victory Brigades") is a Shi'a militia operating in Iraq. 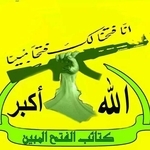 It defines itself as part of "al-Muqawama al-Islamiya" ("the Islamic resistance") and shows its affinity for Iranian Supreme Leader Ayatollah Khamenei and the Iranian ideology of Wilayat al-Faqih. One area the group reports to operate is the southern Baghdad region, where the Islamic State has been trying to make inroads from Babil province. 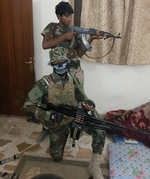 Whether the group is an actual proxy of Iran is unclear; it may be a break-off from the Iranian proxy Kata'ib Hezbollah or actually a front group.